Last year I wrote a post about wanting to visit all of England’s counties, and so, we started with our own county, Essex. We decided to make the most of our weekends off, and would go for drives, and see where the world would take us. I shared several churches that we visited, and you can see other things to see and do in Essex here. All photographs in the galleries can be clicked on to view larger. 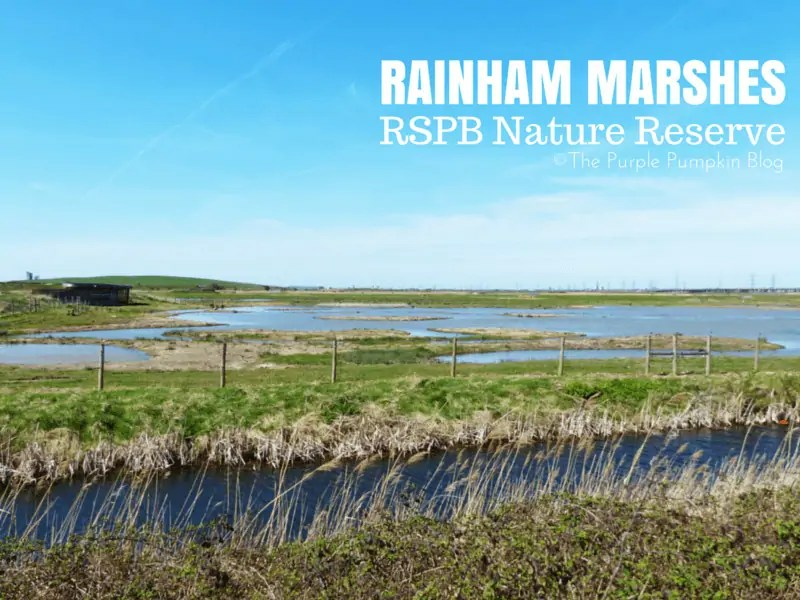 We recently visited Rainham Marshes which is a RSPB Nature Reserve. Another gem in my borough which I have never visited in the 20 or so years that I have lived here! 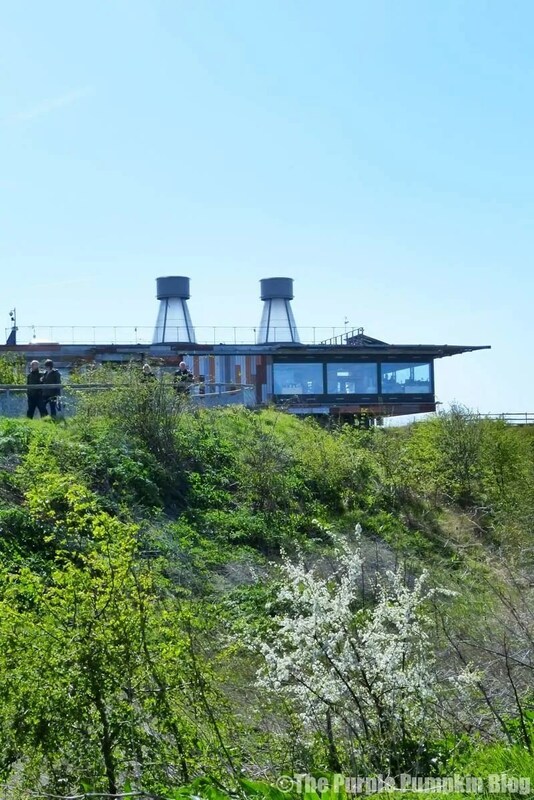 It’s definitely a place we will head back to over the different seasons, as I’m sure each will bring with it different birds, wildlife, insects, butterflies and plants. 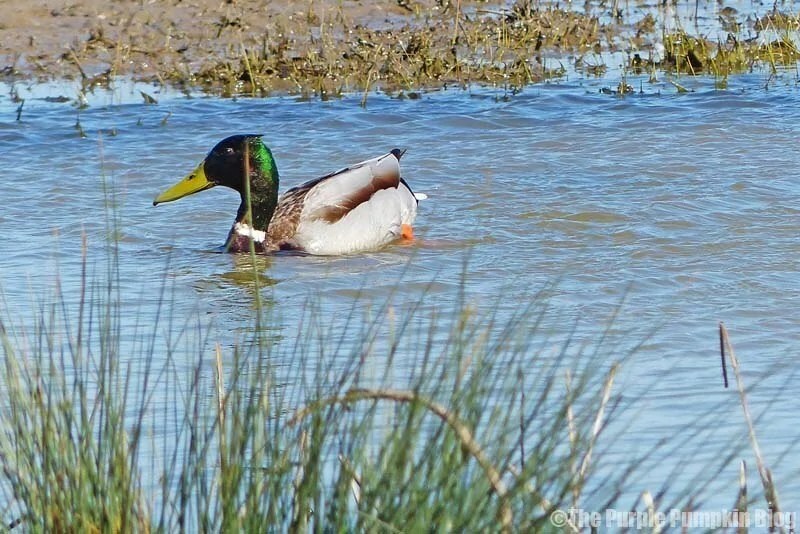 You can expect to see breeding wading birds in spring and summer, and large flocks of wild ducks in winter. We pulled into the car park late morning, and it was fairly busy. We found somewhere to park (£1 voluntary donation) and walked up towards the visitor centre. 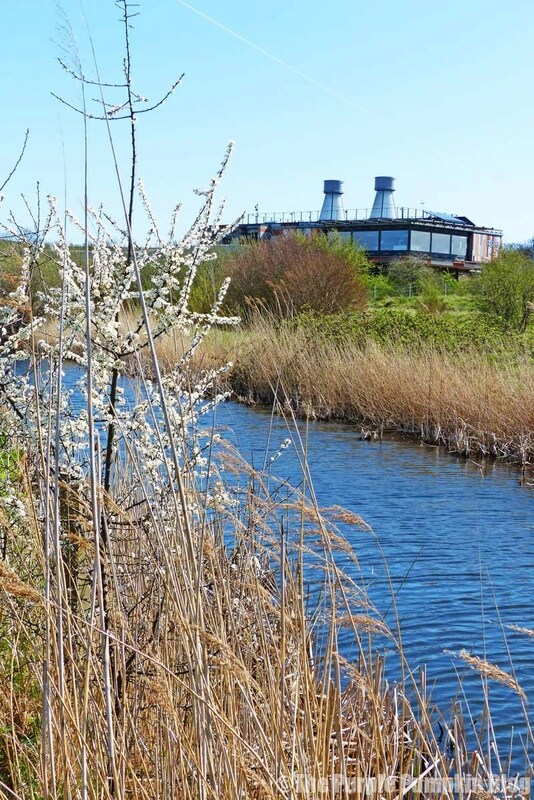 To enter the reserve is free for RSPB members and residents of Havering and Thurrock. Otherwise it is £5 adult, £3 child, £15 family (two adults and up to four children). Dogs are not allowed on the reserve (except for registered assistance dogs) but you can walk them along the Thames riverside path. 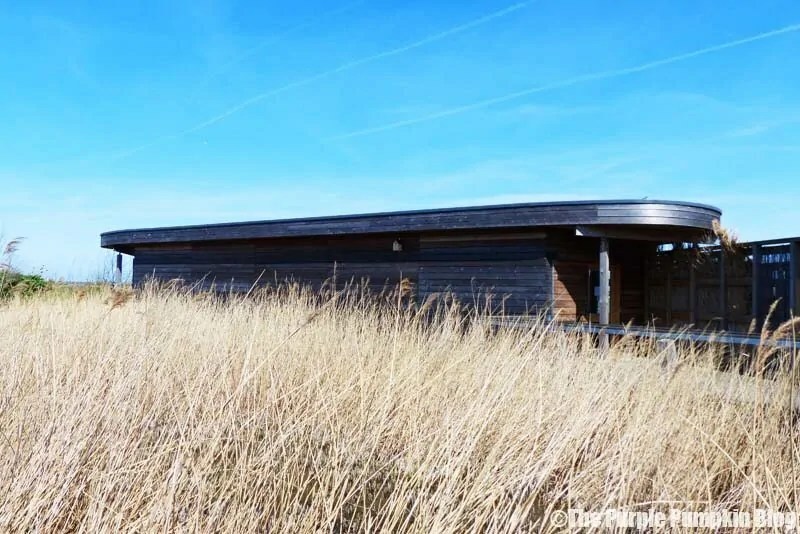 The visitor centre has huge picture-windows that look out across the marshes. It is full of environmentally friendly features and boasts a handful of prestigious architectural awards. There is a shop, café, wildlife garden and children’s adventure play area – so plenty to keep all the family very happy on a day out here. 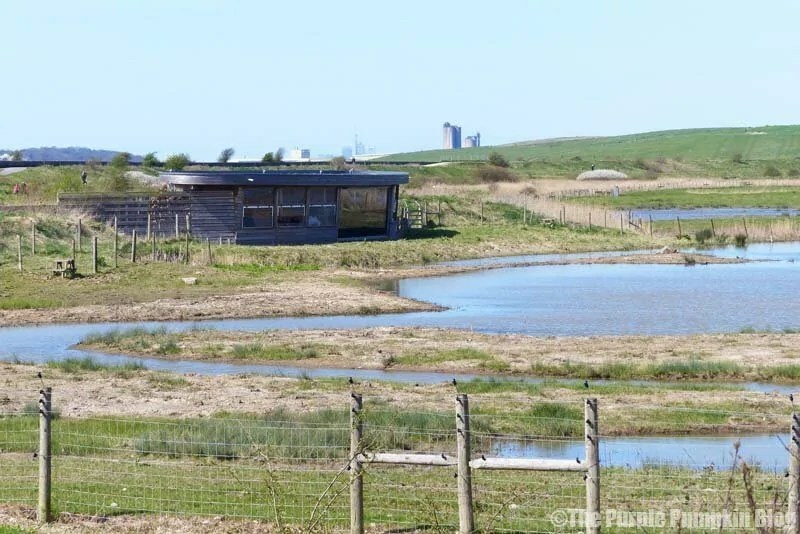 We walked through the visitor centre to access the marshes, there is a slope downwards, and the walkways are wheelchair and pushchair friendly, so accessible for all. 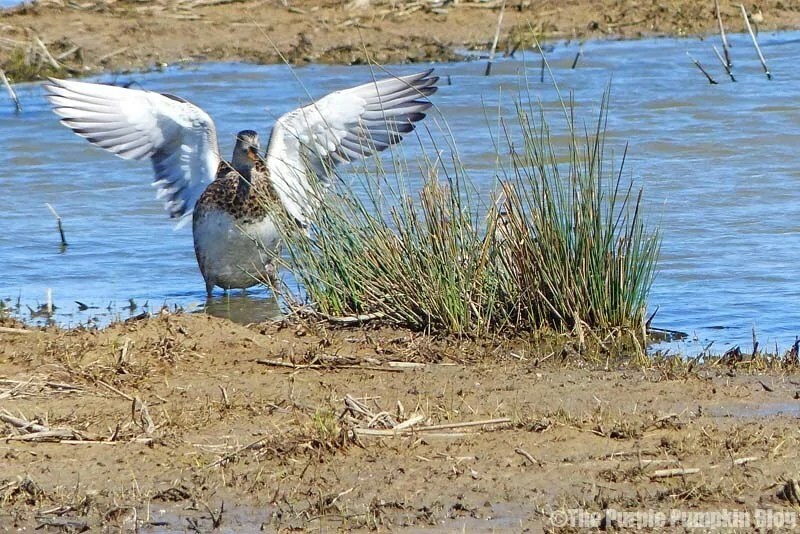 You can read more about accessibility on the RSPB website. 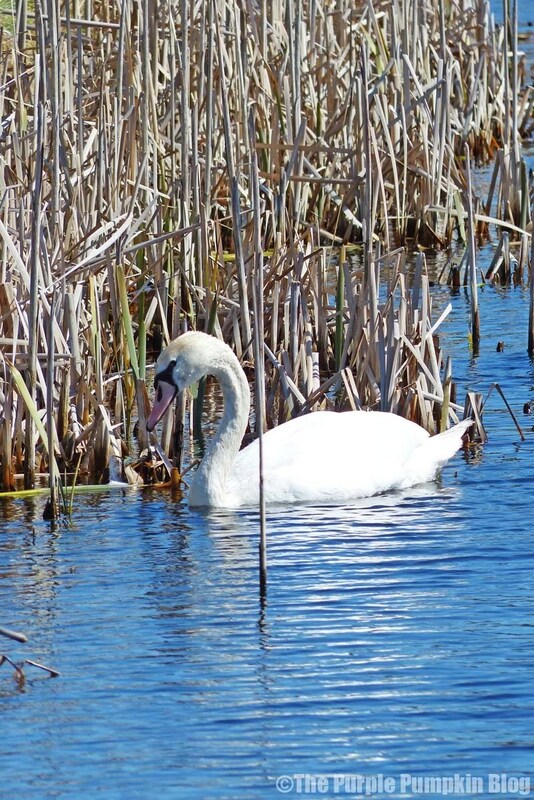 There are 3 nature trails which are signposted, and the one all around the marshes is about 2.5 miles long. We didn’t walk all the way around, but plan to on our next visits! 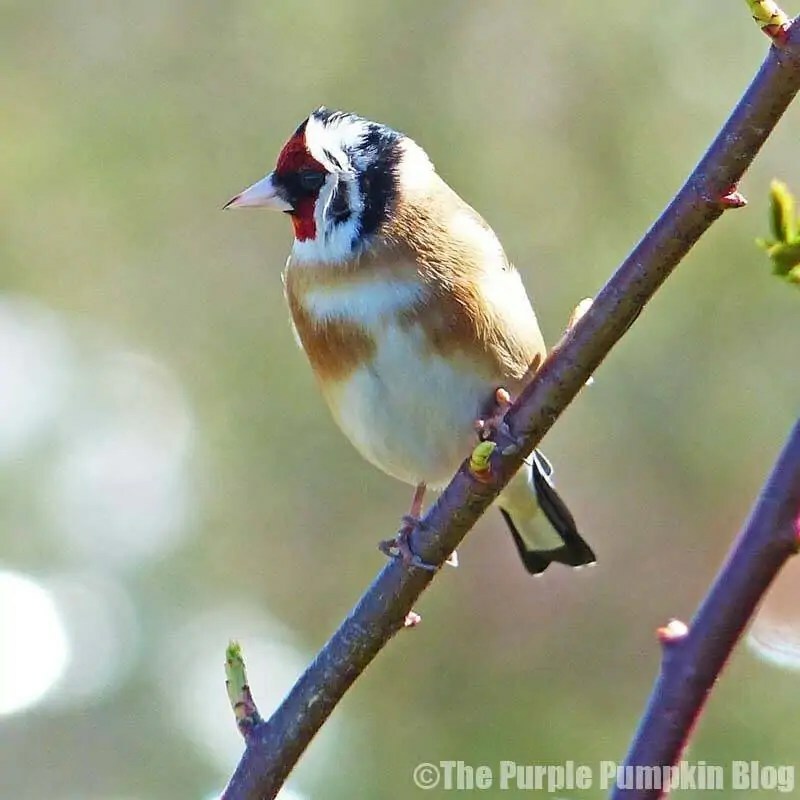 As we walked down the initial path, we could hear bird song, and spotted a beautiful goldfinch, as we continued, we also spotted several bird watchers, looking through their binoculars across the marshes. Whilst it was a particularly cold day – the sun was shining, it is very windy at this reserve, so bear that in mind when you visit! 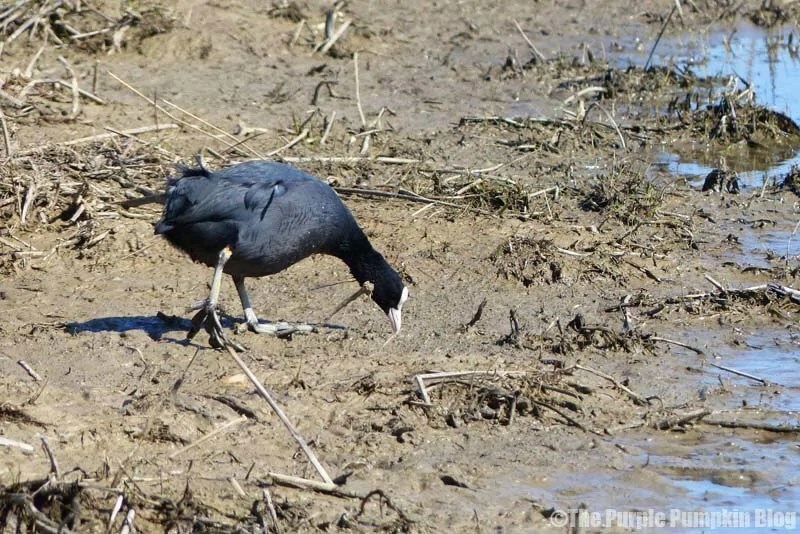 We saw several different water birds including swans, coots, lapwings, mallards, gadwells, as well as lots of magpies pigeons. We picked up a checklist from the visitor centre, but I think we may have to invest in a bird spotting book to help us to identify different breeds! 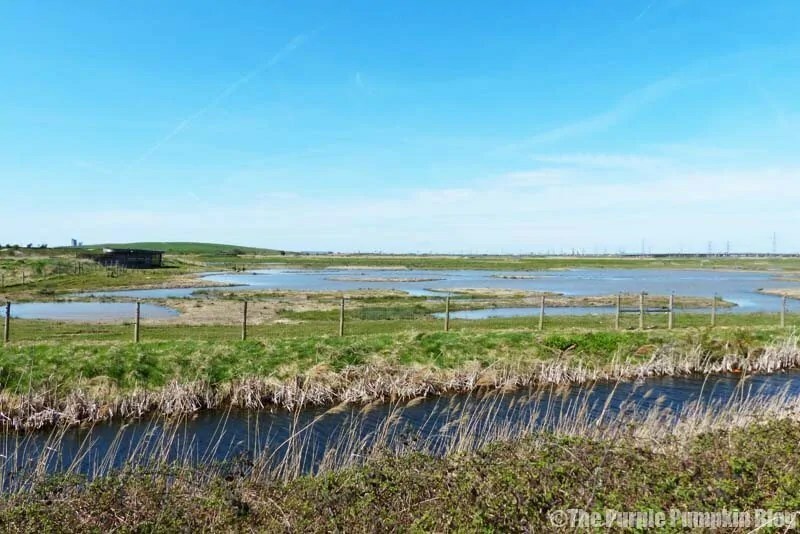 We walked to the first hide and had a brilliant view across the marshes. It was so peaceful to just sit in here and watch the birds. We saw signs saying that water voles were quite active, so kept scanning the reeds and the edges of the water to try and spot one, but alas we didn’t. 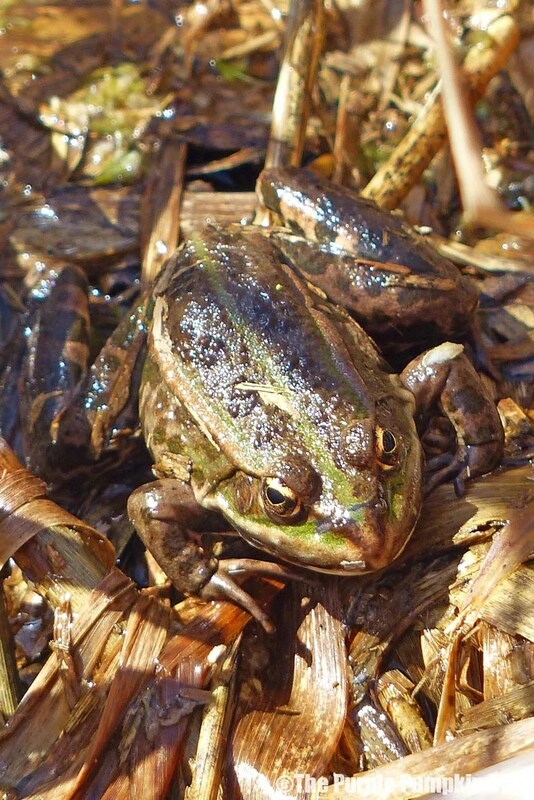 We did see several frogs though warming up in the sunshine. After a couple of hours, we started to walk back to the visitors centre, and took one last sit down at the top of the slope to admire the view. 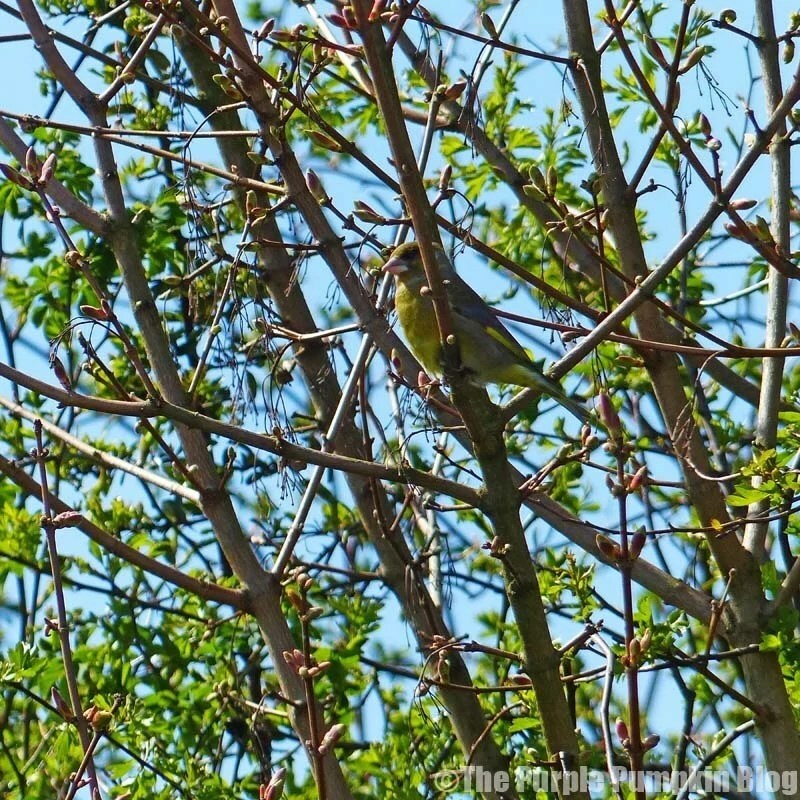 We got talking to a couple of birdwatchers who pointed out what the different breeds of birds were, as well as telling us that all the way over on the other side you can see birds of prey! Whilst talking we saw a kingfisher dart across, but he was way too fast for me to capture on my camera. 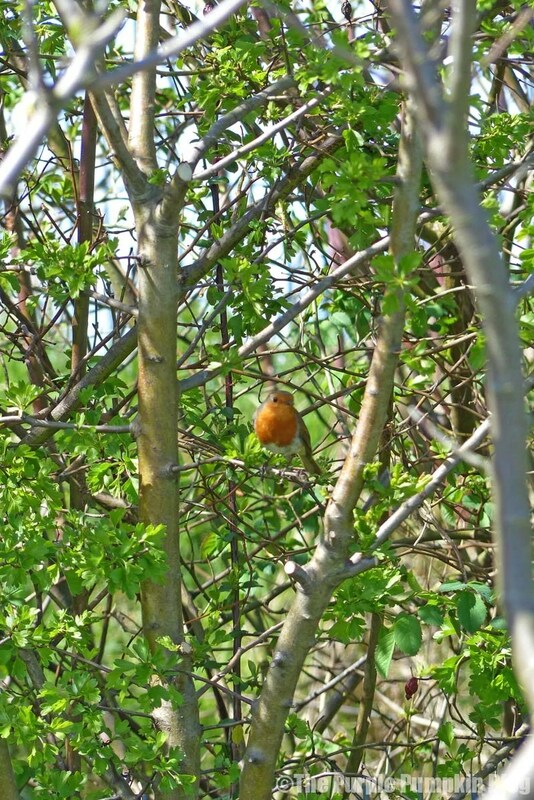 On the way out, we saw a goldfinch again, and when walking back to the car saw a robin (missed the focus, sorry!) 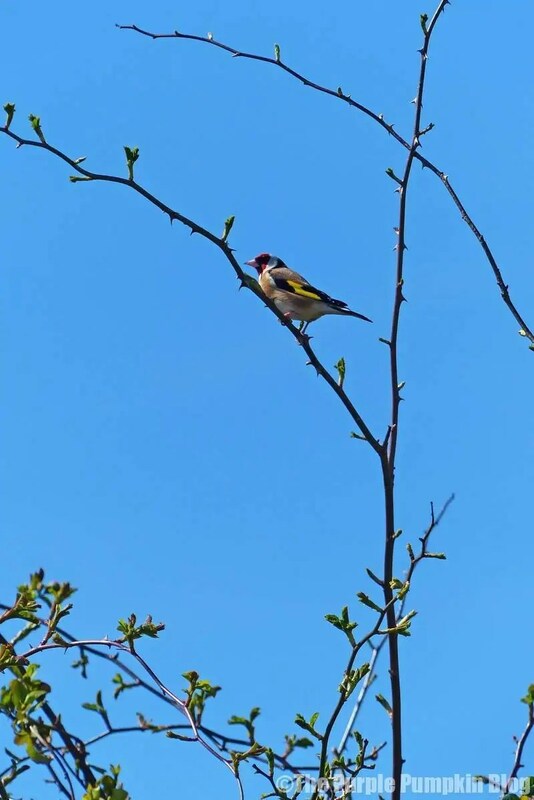 and another bird, which I’m going to guess at a greenfinch thanks to the Bird Identifier on the RSPB website. 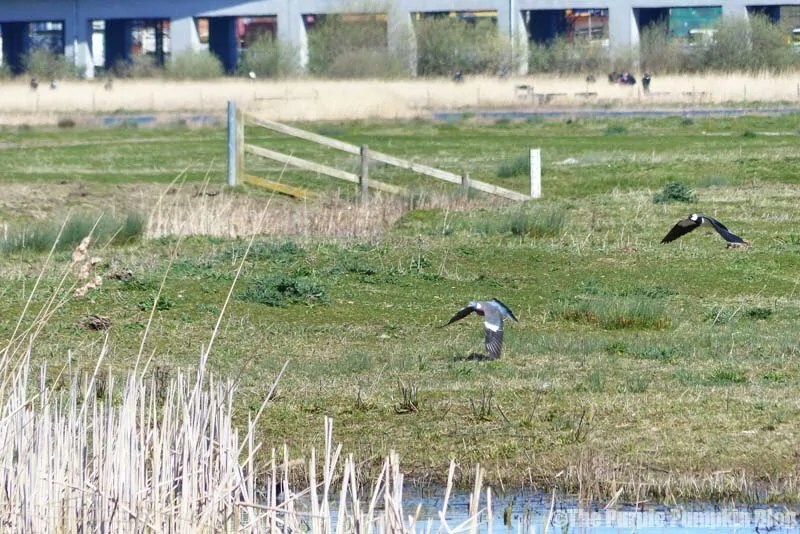 We had a wonderful time at Rainham Marshes, and I can’t wait to go back to spot different birds. There were lots of families walking around the reserve, so it’s a great place for children, and a way of bringing them close to nature and wildlife. I highly recommend a visit if you are ever in the area. Bring a picnic (there is a picnic area) and spend the day in this beautiful area of natural beauty, nestled in amongst the industrial areas of Essex and London – I loved the juxtaposition of seeing the trains going by in the distance, hearing the feint sound of industry in the air, and seeing London’s skyline. 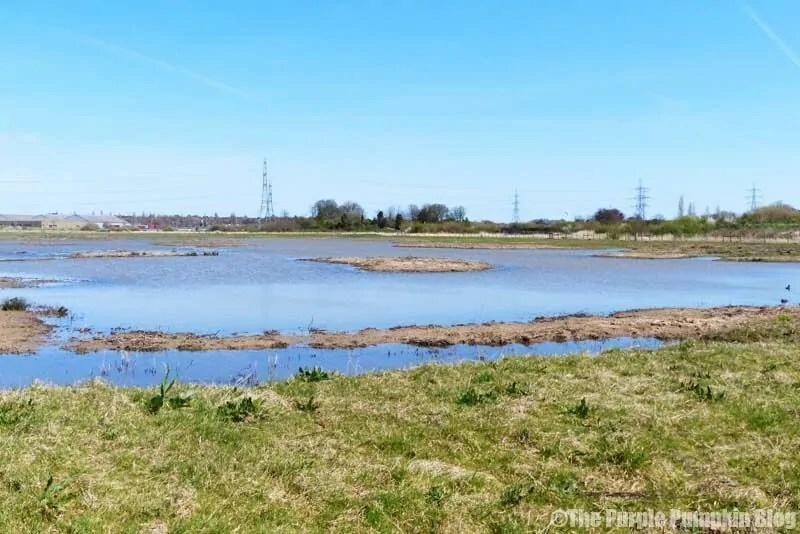 You can get to the marshes by train (nearest station, Purfleet on the C2C Fenchurch Street line), by bus – Ensignbus 44 and by road: the reserve is located off New Tank Hill Road (A1090) in Purfleet which is just off the A1306 between Rainham and Lakeside. 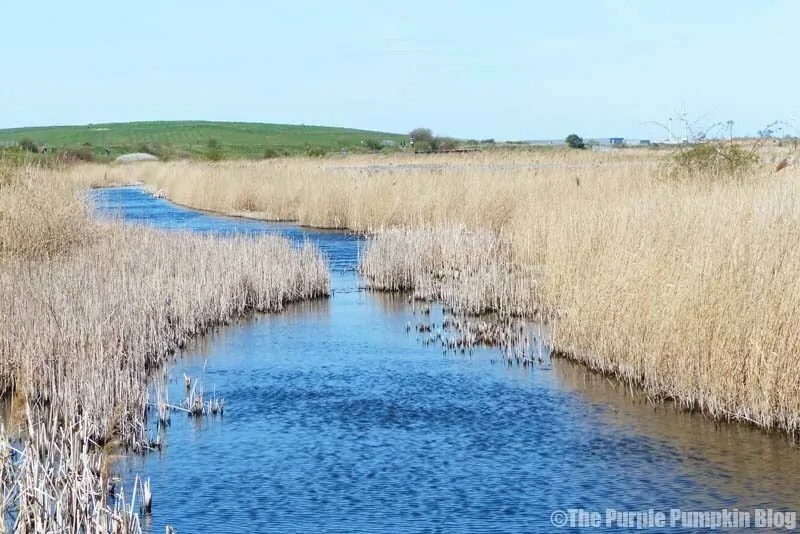 This is accessible from the Aveley, Wennington and Purfleet junction off the A13 and J30/31 of the M25.